Together with your driver guide you will reach Cinque Terre, which has recently become one of Italy's top destinations. These lovely fishing villages are in Liguria, known as the Italian Riviera, the region where Cristoforo Colombo was born and where the delicious pesto sauce was invented. Starting from Florence we will drive through the western part of Tuscany and while you enjoy the views, our driver will give you information about the cities you pass, like Lucca, Carrara and La Spezia. Cinque Terre is a National Park, also suitable for hiking and trekking. 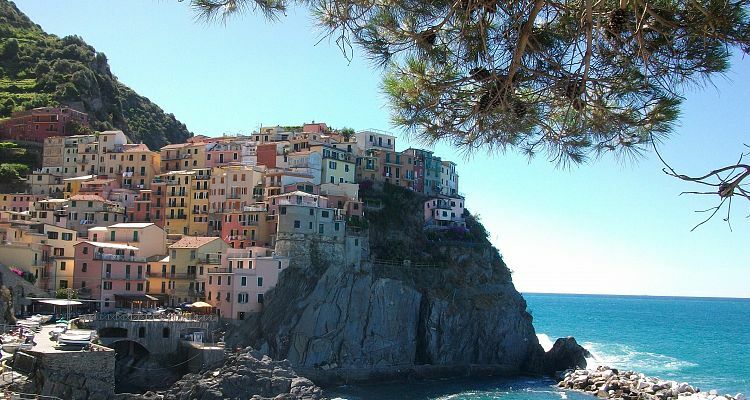 In this Cinque Terre day trip, we will visit four of the five villages along this spectacular rocky coast. You will have the opportunity to take a boat or a train ride to move between the villages, your driver will help you choose the best solution according to the weather conditions. He can also suggest a good restaurant in Vernazza where you can taste the traditional specialties like pasta “Trofie” with pesto sauce, grilled sea bass and stuffed mussels. In the afternoon you will visit Corniglia, the most unique of the five, where you can enjoy a walk in the narrow streets and if you like, you can have a delicious gelato. While driving back on the scenic roads you will have the opportunity to stop to take unforgettable photos. If you are interested, you can also do an optional wine tasting. Duration: from 10:00hrs - Every day. Not included: train or boat tickets, wine tastings and meals.